There has been tales and stories which one may have taken as mere hearsay or some myth about the so called Yeyemolu of Ile-Ife. Today, I shall be TELLING about this mysterious and symbolic Yeyemolu, her personality and relationship with the Arole Oduduwa; Ooni Adeyeye Enitan Babatunde Ogunwusi, Ojaja II. Watch the video of Yeyemolu 2018 celebration right after the cut…….. 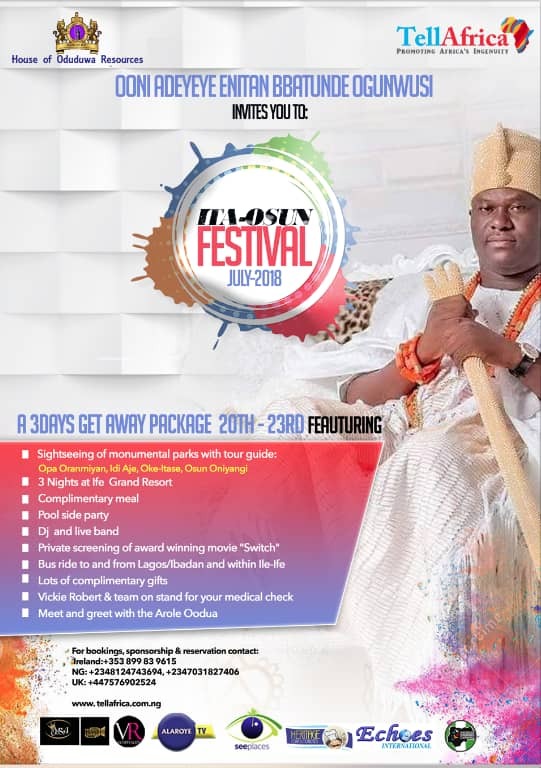 According to the number one citizen of Oduduwa race, Alase Orisa! His Imperial Majesty (H.I.M), Yeyemolu is the first wife of the first Oonirisa and she remains the first wife of subsequent Oonirisas including himself as the incumbent and subsequent kings that would reign thereafter. He stated that Yeyemolu was his first contact in the Palace having ascended the throne of his fore-fathers and he had performed such rights as would be expected of an Oonirisa to his beloved Olori on entering the palace. H.I.M majesty further explains that, he holds conversation and deliberates with Yeyemolu on a daily basis as he would a wife. Together as couple they deliberate on his activities and decide on steps to be taken. The revered monarchs explained that Yeyemolu is a god-sent wife to the Oonirisa. Any other Olori in the Palace of the Ooni must accord Yeyemolu the expected respect and would have to a take cue from her otherwise; she would be an unwelcomed guest at the palace. Yeyemolu is often celebrated in the month of April in Ile-Ife as a deity (messenger of God). The celebration is seen as the king’s prerogative owing to the fact that she is the revered wife that must be honoured. Although, she is now with Olodumare (God) and no longer physically visible in human to us but she has been immortalised in the form of living spring, that is a “well” right there in the palace. The water from this well is used in carrying out all water-required activity of the Oonirisa in the palace. 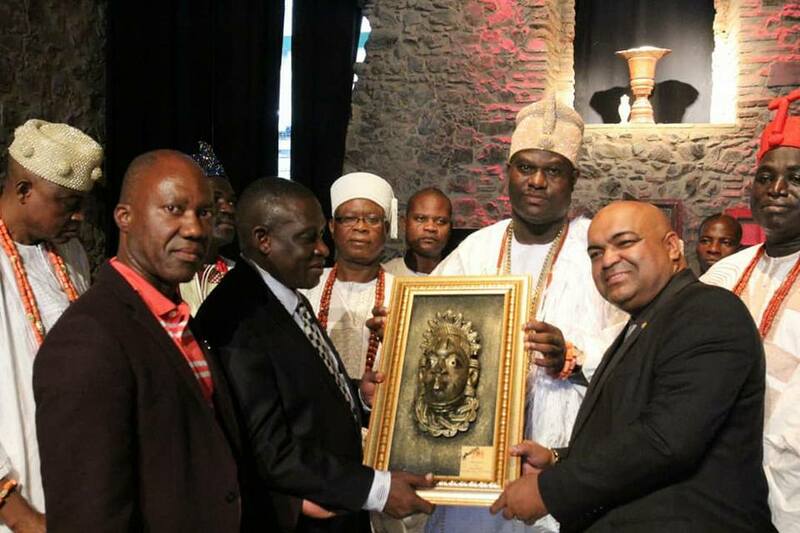 H.I.M claims that it is imperative to celebrate the legend Yeyemolu; she is “oro” that is, ‘a must-to-do sacrifice’. Kabiyesi gave us an insight as to the distinction between culture and religion when explaining the concept of oro. He said “oro” is obeisance to formal rights of the Yoruba people. For instance, it is mandatory for a properly raised Yoruba to pay homage to the elders by kneeling or prostrating when greeting them. Kabiyesi made it clear that, culture is distinct from religion; irrespective of one’s religion, it would be an abomination to disrespect an elder and this goes to show that culture cannot be undermined as it is the way by which people live. In like manner, it is important to celebrate Yeyemolu and other cultural festivals. H.I.M believes this cannot be far-fetched for the reason why the South-West people of Nigeria live in one accord; it owns to the fact that we respect our culture and appreciate our individual differences in terms of religion. Kabiyesi reiterated that we must always endeavour to promote our culture as a people with beautiful heritage as this will in-turn benefit us as a nation in the area of tourism. 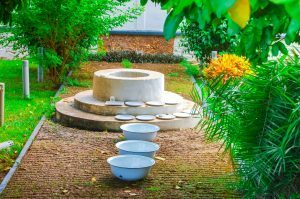 Another spectacular sight at the well is the fact that, Yeyemolu is uncovered and yet remains spotless clean when drawn. Kabiyesi stated that, it is the wish of Yeyemolu to be left open as she seeks to look unto God, the author and finisher of her faith. No wonder it is called “O to ro ro omi a le Ife. 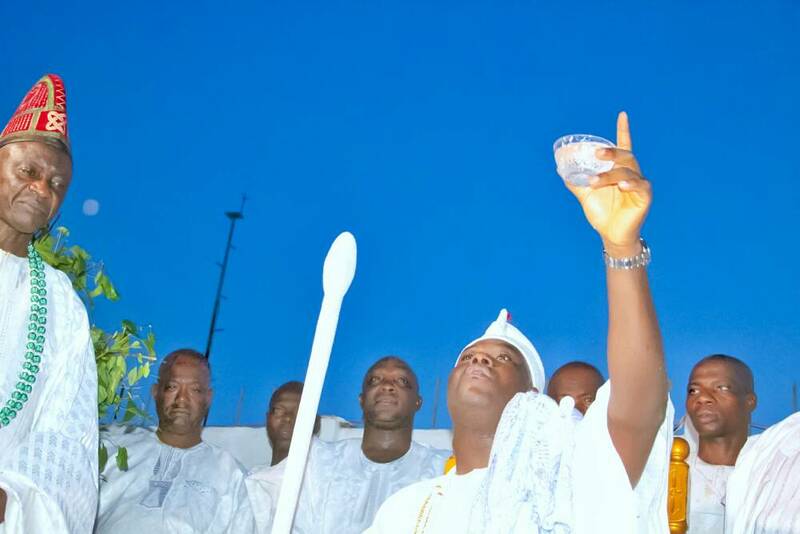 Ara yi to mu nibe ko wopo o….” this implies that, ‘Yeyemolu is such clean and supernatural water full of purity and without blemish. Those who drink from it are so few……….’ It is also referred to as the spring of absolute truth. Yeyemolu was said to be a kind, loving and supportive wife to her husband but as fate would have it, she could not conceive and bring forth a child for her husband despite all effort. As a result, she insisted that her husband, the king should marry another woman who would bare him children. The then Oonirisa therefore, married a new wife who gave birth to a child. Everyone including Yeyemolu was delighted for the new addition to the family. 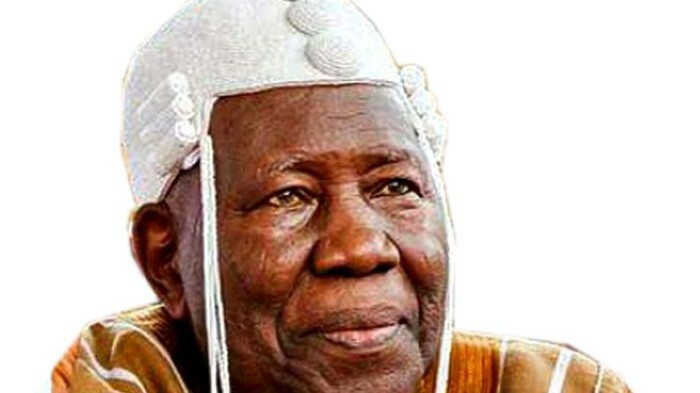 Shortly after the birth, Yeyemolu told the king that she was up to surprise the Ooni; the king laughed and indeed was expecting a nicely packaged surprise from Olori at the appointed time. Days later, Yeyemolu went missing in the palace; no one could tell about her disappearance. Whilst in search for Yeyemolu, an Emese (king’s helper) found a strange sight in the palace; a freshly dug well. He reported to the king who also sighted the well. That was a surprise for the king as well as a mystery, due to the fact that, he had not ordered a well to be dug. The Babalawo made it possible for the Ooni to see and have a conversation with her beloved Olori. Yeyemolu said, “It was her wish to continue her life as a well so she could be a blessing unto the king and others. She would always be there any time she is needed; she promised to support the king or whoever comes to ask her for a favour in good faith, she would remain a pillar of support forever.” All that need to be done is to speak to Yeyemolu and also drink from the well; all problems are considered resolved by Olodumare through the living deity, Yeyemolu. Indeed, Yeyemolu seem compassionate but regardless, she is jealous. She could not stand the rivalry and act of sharing her man with another woman; hence the decision to let go of her home in the physical realm. This decision however, had left her in a vulnerable position. 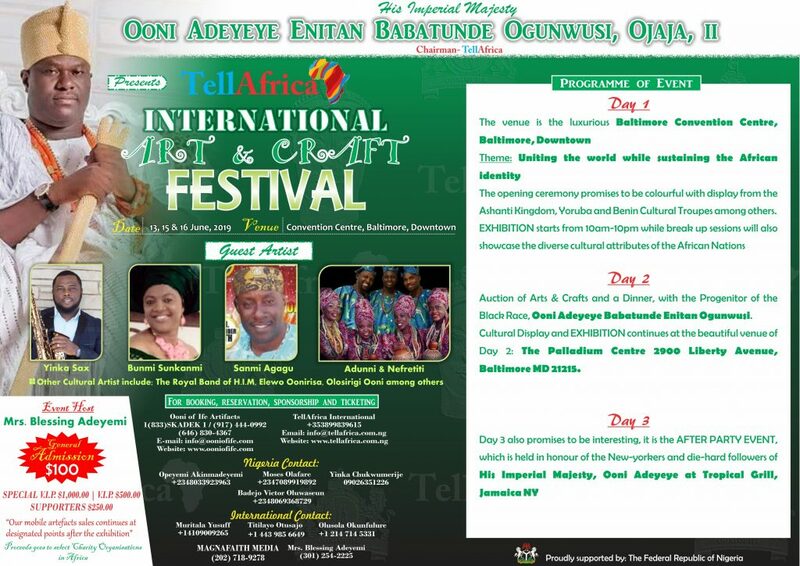 Countless rulers of Ile-Ife had pitched their tent in her bosom. The numbers of rulers from the first to second dynasty are innumerable to us but we know of the third dynasty, of which she is in her 51st matrimony to my king, Alaka Omo Apaara! Otiti Arikilemi! Ooni Adeyeye Enitan Babatunde Ogunwusi. Kabiyesi oooooooo…………O yo omo loko lala sonu! What did Fayemi forget in Ekiti State Government House?